In the first federal court ruling (PDF) concerning attempts by city and state jurisdictions to regulate the use of drones, a judge denied a requirement by a city near Boston regarding local registration and significant bans on where and how low they can fly. Fortune and Ars Technica have reports. 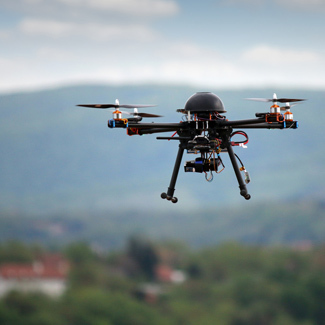 Law giving the Federal Aviation Administration responsibility for regulating the use of drones, while allowing some non-federal say over their use, preempts the city of Newton from requiring registration beyond the agency’s own such requirement; from banning flights below 400 feet; and from requiring an owners’ permission before flying over public or private property. Newton’s requirement that drones can’t fly below 400 feet clashes with FAA rules which say drones must be operated below an altitude of 400 feet from the ground or a structure. “Newton’s choice to restrict any drone use below this altitude thus works to eliminate any drone use in the confines of the city, absent prior permission,” U.S. District Judge William G. Young wrote. “This thwarts not only the FAA’s objectives, but also those of Congress for the FAA to integrate drones into the national airspace. While Judge Young threw out four aspects of the city’s statute under preemption by the FAA, he noted the remainder of the ordinance stands and that “… nothing prevents Newton from re-drafting the ordinance to avoid conflict of preemption.” Parts of the ordinance that remain a concern are privacy, noise and safety, Ars Technica reports. Other cities have tried to restrict how and where drones might be used, including West Hollywood, California, after a drone cut power lines and caused 700 residents to lose power for three hours, Ars Technica reported in 2016. Forbes contributor John Goglia, an aviation safety consultant and former member of the National Transportation Safety Board, reports that other municipalities have been watching this case for help in determining how they might proceed with statutes concerning drones. In the piece for the magazine, Goglia states that he served as an expert for Singer in this case. At least seven states – Arizona, Delaware, Maryland, Michigan, Oregon, Rhode Island and Virginia – prohibit municipalities from regulating drones, Ars Technica reports citing Amanda Essex, a transportation policy specialist at the Denver-based National Conference of State Legislatures.